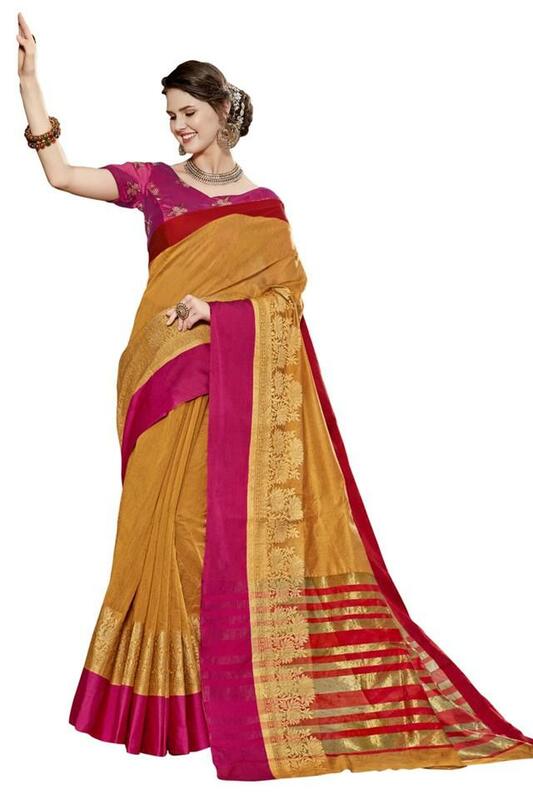 Anyone, who prefers wearing an ethnic wear, will love this saree presented by De Marca. It is comfortable to wear and easy to maintain owing to the use of fine quality art silk. It also features a solid pattern that renders it elegant, while the beautiful gold woven work adds to its design. Flaunt a stylish look by wearing this saree, which features a solid pattern and comes with a blouse piece. You can club it with a pair of teardrop earrings for any casual occasion.